??????????? ???? ??? ???????? ??? ??????? sir, Your website and Your App is really wonderful. Its very useful for us.Daily readings and reflections & saints history is very nice. I think your App is the best one in Tamil catholic bible.Thanks for Your service. God Bless. very much useful and advanced biblical readings for my preparation and performance, thank you lord. In calendar page, it would be great if the hyperlink is given to date. When there are more messages in a particular date we feel difficult to move to today's reading. Feel free to reply me if you need more information regarding the issue. Thanks. Hi sir, the app for android not available in google playstore. Please let me know when this will be available again. Please join me your whatsapp group. Respected Sir, Arulvakku is not working properly in Radio Garden... Kindly check. The messages in the Arulvakku radio are a true reflection in everyday life of a catholic individual. The team at Arulvakku are Blessed to telecast the Radio. Keep up the Good work. In God we are one and Lets serve the mission. Thanks a million to ARULVAKKU. IT'S REALLY INSPIRING. I thank you for the word of God and the reflection from Rev.Fr.Theophilus sdb. Why are you not updating the Sunday liturgy during the week? We liturgist need it earlier. At least 1 week earlier. Your service defeats the purpose if it is updated on the last minute !! Arulvaku is a treasure I found ???? Nalla seyal ennaal mudintha udhavee undu.thanks. July 17 onwards there is no homily.. can u upload? There is no homily july 17 onwards... Can u upload?? Please check the calendar page June 24 and June 29 readings are not there. Please Update. This month mariyurai is not updated still .Kindly accept my appropriation. vHod bless your work. Do you have printed material? To offer for some RIPmasses. Is there any provision? Tommorrow 25/04/2017 reading missing. please update. Dear Arulvaakku team, Kindly please update all the readings for Pacha Vigil. It will help us alot on our mass preparation. Your team is doing a great job! well done. Dear Brother/Sister, I installed Arulvakku App in my Apple mobile running iOS 10.3.1. The App crashes in a second as I open the app. Is there anything I have to do to open the app? Very thank you for your service, I am reading everyday. please improve the Service in Social level. Can the subscription available in English Version as well? My Catholic friends would like to get the arulvakku bible readings, daily mass readings & other subscriptions in English language as well. Can you please help me to get those in English language as well so that I can ask them to subscribe for the same. Currently, arulvakku.com is available only in Tamil. And sometimes I get mass readings, other subscriptions in English language. with Regards, Antony Jerald. i am really love this radio. whenever i am free i am hearing this radio. every programs are good. thank you for your wonderful effect. May god bless you. New changes are good. one more suggestion from me. Please add the history of daily saints not only the feast.Daily saints are there. If you add that it will be so good and useful for us. Dear Father, I am daily reading bible and reflection in this website. in my office everybody in calm working condition, when i open arulvakku website the automatic sound of songs disturb me and everybody. i know i should reduce or mute my volume,but this is not possible always. so i kindly request you to remove songs at when we open our website.. i hope and believe it will help others too. thank you for always accept our valuable comments. love. ben. my father death prayer for me . So Thanks for Great Job. its very usefull for mu daily spritual Life. Please update the May month Calendar details. While opening the app it get automatically closed..
mAY BE sPACE PROBLEM ? Good Friday, Easter Sunday Reflections are also incomplete in the web site, father ! KINDLY NOTE ! 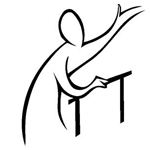 Maundy Thursday Sermon/Reflection incomplete , Father ! PLS DO THE NEEDFUL ! Please let me know whether you have or working on Ibreviary or Liturgy of the Hours in Thamil. If you have online Breviary I like to have one. thank you for all the Tamil Faith Work you are doing. Some days full details not available in the calendar. for Ex. palm Sunday, Good Friday reading. please do something. 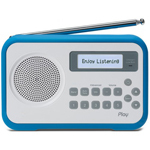 Arulvakku Internet Radio is very good. Could you please publish the regular schedule online? This could help us to listen to selective services or plan ahead of time. I visited MANAVI.COM to download tamil mass hymns. I was directed to buy CD from a quoted website and thus happened to visit this page. I could not get what I required either free down load or on payment. Please check. Thanks. Dear and respectful sir, some words missing in numbers 7:54. please do needful. thanking you. Dear Rev Father,I would like to thank for giving us to read the daily bible readings through Arulvakku May God Bless you and entire Arulvakku staff. Is there songs on all the Psalms,If so kindly give me the details? Dear father, praise the lord father,i want know about this verse Romans 1:7,this verse is not in our holy bible,but we can see this in moble bible. what is a reason father,pl shall u clear my confusion. thank u father. I wish to hear Te Deum ( Iraivaa ummai yaam porri pugazhginrom) in Tamil. Nowadays nobody sings that thanks giving song even on 31st of december. All, It is a fantastic upgrade design work completed with the web pages. 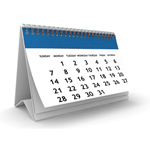 In the "Naal Kaati", dates & days are not correct, atleast for June 2015. Could you please help correcting. Thank you. Thank you for the changes, its excellent. I am a constant user of this site and very happy to see the recent changes. God Bless you. I am currently writing "Bible Mantharhal" in daily thanthi Aanmeega Malar ( Tuesdays ). Thank you for the changes. Its very useful the tamil bible module for my sword androin bible application. And I expect another tamil module for android bible that is the Former Catholic Tamil Bible. Can you help me. And the tamil font used in mysword is good. May I know the name of the font? Dear Rev. Father Greetings! Thank you so much for ur wonderful work. Daily I follow your web site. Thanks a lot. please send me the mariyan way of the cross in tamil.since we have retreat for legion of mary members in coimbatore region.kindly send me as soon as possibe through mail. thank you, ave maria. please send me the mass and 1,2 readings introductions. i am unable to learn peoples life activities.my learning ability is blocked.evil spirits.please pray for me. Dear Father, Today's (7 Nov 2014) first reading was found to be yesterday's reading. I don't know this error is only today, or this is happening for many days. Please check that. God Bless you all. Praise and Thanks be to God for giving you His Amazing Grace and strength to start the Arulvakkum FM radio which has become my lifeline. Hats off to you. Well done and keep it up. With prayers I remain. I am happy that I am receiving your message on daily basis. songs/lyrics available on Holy spirit and Praise and worship? Is the Vatican vanoli is available by post on subscription? Why did Jesus Christ was killed on cross? useful readings are put up. requesting you to give sunday reading( for 6th July)on NAAL KAATI. Dear Rasa, I was listening to the online Arulvakku Radio...The quality is so good. It was so inspiring and helped me to work on my computer better with the sense of the Sacred. Congratulations for your wonderful efforts to initiate online Radio. This is yet another milestone in the history of arulvakku. Best wishes and prayers for spreading God's word to mor epeople in creative ways. God bless all your works and initiatives. dear fr. thank you very much for naalkaati daily bible verses, and thank you for updating daily. just like to give one suggestion for sunday naalkati. please put munnurai in first , then first reading second reading. so it will give introduction for this week and thoughts of today. everytime when i read,i wanted to tell u this, let it manrattu in last. thanks a lot. ben. Hi, Do u guys have Tamil bible with audio for android. I could able to find for English bible. But Im need of it n Tamil. Thanks in advance. Thanks for maintaining this website. God bless you all. all of them but when we are enter in this website play some audio(jesus) songs.. that increase visitors most interest.. I Would like to become a Catholic Christian. Kindly guide me. could you kind explane about " Assembly of the synod of bishops" in tamil. This site is very useful to us for preparing missilite in Tamil. Can you sent the readings of 33rd week? fr.this is much useful for my ministry.My best wishes to you fr. Could you pls include Quiz for New Testament and New Testatment in Tamil in Arulvakku website? Hi.. It will be good if there is some images of mother mary, holy family, etc.. i mean separate tab for IMAGES. Also, UI (User interaction) is not good in online shopping. Plz improve it. improve UI for this website. It will be really good. Please ignore if am wrong. Thanks in advance if you are take this :) praise the lord. Mariye vazhga Regards, Rextina Babu. pls provide the bible in pdf with download option. It will bw very useful for all. I need bible quotes for the people those who are in sorrow of death. very informative... interesting.. i like u... i would like to use all these things..
i register my mobile number 9047281802 for daily bible message in mobile. but i didnt get message. please send bible message daily to my mobile. I need your help to access the daily gospel in tamil version. Please help me. Dear Fr., Please teach the real content of the Catechism of the Catholic Church in 'Maraikalvi'. Please teach about the Faith and Morals. I request you not to give the Church news as Catechism. How can I Read "THIRUVIVILIUM" offline? Where can I get the software? How download this to my computer? Kindly reply. Thanks For the wonderful ministry you are doing. Our God has the reward for all deeds. Dear Rev.Father, Please add audio songs for listening daily. Thank you. I feel its a very good site to read catholic Bible in Tamil. Could you please provide some information about why catholic and why not other denominations in christian. I really appreciate the mission of Arulvakku which helps me to read the messages and also the songs are good. I wish all the best to the Team members of Arulvakku. I am proud to be a member. My mobile number is, 9551084322. I tried twice for sms updates from you. Sent sms "ON ARULVAKKU" to your mobile number given but no response so far. Can you please look into this? My our Lord Jesus shower his abundant blessings on you all for the amazing job. i would like to follow the RC christian Kindly guide me. I would like to follow the The Lord Jesus christ,kindly guide me to follow. dear sir/modem, i want spiritual books in tamil. theology of the body written by pop, that book i want in tamil,1.how to understand in god's wisdom through bible? i want theological books or display in your website., can you help me? Pauline Anes raj hi good morning Dr. father god words are very usefull to us,very thanks. Dear Fr, I happened to visit your Website. It is excellent! Very informative.I shall be grateful to you if you could create prayer Request provision to send our prayer requests. I live in UK and want to buy a Tamil Bible but I found that you are not indicating your postage charges for out side India (to UK)in your web pages. Rev.Farther I need every day bible quotes on my mobile.so what can i do. Thank U.
your changes in the first page were always wonderful.God helps you every time,me and my family will pray for you and this web forever. Dear Rev. Father, In the previous version of the web page you have given all the books of the old and New testment on the left and right sides. It was very easy for us to selecet a particular book and red the chapters. In this new web version it is not available. Pl. provde this facility. Thanks. 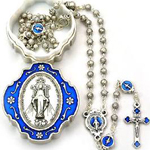 How to download the tamil rosary? I donot have proper connectivity always. Hence need to download. Dear Fr. Sundar, Hope you are doing good. I would like to know regarding the possibility to link Puthuvazhvu Website from Arulvakku website. Puthuvazhvu Tenkasi website was recently launched. http://www.puthuvazhvu.org.in It would be great, if you can place / add this weblink on Arulvakku website. Thank You. This website is very useful to all and grow with holy sprit. Thouse who are working for this website it's really,honestly and sincerely done this work. Through their work effort all peoples can change turn from sin life to holy life. We are sinceely thanks to your team and wish u all suscess to your team. Really very superb website and Thank you very much. Very useful and Thank & PRAISE you GOD for giving such wonderful people behind this hard work. 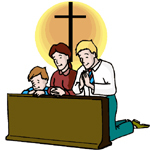 Dear Father Thanks be to God for operating this site and its adds value to many christians. Appreciating your works. Just a suggestion on Loading song lyrics; if you find it difficult to type the songs, alternatively scan tamil song lyrics and kindly publish all missing songs. your services are very inspiring and helpful. "Thank you very much" may god bless us all. the video songs are marvellous. Kindly add some more video songs so that we may lead a spirutual life. Breaking the Word could be uploaded regularly on the previous day itself. Dear Fr, I happened to visit your Website. It is excellent! Very informative.I shall be grateful to you if you could create prayer Request provision to send our prayer requests. I was extreamly happy to pray the Tamil Rosary. I am sad now.Why buffering pauses ?! I can't hear songs in you web site. Dear father, i like to suggest you that kindly upload everyday Holy mass. hi. enakku silai valipaadu patri oru nalla vilakkam thaanrungal.silai valipaadu sariya thavara ? This service is very useful for us, thank to god and pray for u,My kindly request please give bible words in audio mode and give software download option thank u.. I'd Like To Get Ordinary Common Tamil Bible For My Mobile Similar To Thiruviviliam. Thank You.. Please Mail Me.. After Preparing It. Praise The Lord...! I'm Bob Albert from udumalpet. Really Nice work and good work too. I request you to pray me & my future. Last year I lost lot of money in my business. Still i'm suffering a lot. I Trust in JESUS. Kindly pray for me and my new Business to set well and grow well. Thank you. Please send me daily Tamil readings. Very very nice site,great job,keep it up.God bless. our website is very deep opinions and excellent videos and audios. so i want to our site. many more people's and our catholic christian people use in site. so i am very happy. continue your divine service. thank you god. Dear Revernts Arulvakku is the blessing od jesus to us we are very proud,one request shal we get the programe of how to play key board as lesson? I Request you to Prepare ordinary Tamil Bible Without Tamil Fonts. Hence most of the sites are preparing Mobile bible with support of Tamil Fonts..
where I can find the arulvakku cd? Monthly we are producing a Devotional Book based on our daily mass readings for the last ten years. We had been using a CD that has lot of errors and we spend lot of time in correcting and comparing with the book. The bible in the internet is in unicode and unable copy and paste. Is there any possibility to help us overcome this difficulty? 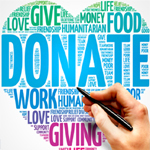 Also we are anxious to find out whether you could provide any resources to promote more effectively to help our Tamil community. The devotional book is produce by Tamil Catholic New Life Good News Prayer Group. hi.. It is really amazing site. Please upload more old song collections. It's very useful to us. Thank you fr. Thanks to lard Jesus.now a days technology always goes wrong way but the arulvaaku.com very use full us to bring divine way. thanks once again , "Mary pray for us "
Dear Father, Excellent.Lots of improvement.Keep it up. God Bless you. Praise the Lord. I am very proud of this web side. God bless you. Please upload the calender for this month quickly. Only few days reading are available. Dear Father I saw your uploaded songs in youtube also in website. I am asking you as please upload "enthan nenchukulle nee irukka enakenna kavalai iraiva" song i like this song very much. à®…à®¯à¯à®¯à®¾ à®µà®£à®•à¯à®•à®®à¯, à®¨à®¾à®©à¯ à®šà®¿à®² à®¨à®¾à®Ÿà¯à®•à®³à®¾à®• à®‰à®™à¯à®•à®³à¯ à®…à®°à¯à®³à¯à®µà®¾à®•à¯à®•à¯ à®ªà®•à¯à®¤à®¿à®¯à¯ˆ à®ªà®¾à®°à¯à®¤à¯à®¤à¯à®•à¯à®•à¯Šà®£à¯à®Ÿà¯ à®‡à®°à¯à®•à¯à®•à®¿à®©à¯à®±à¯‡à®©à¯ ,à®Žà®©à¯à®ªà¯‹à®©à¯à®±à¯‹à®°à¯à®•à¯à®•à¯ à®®à®¿à®•à®µà¯à®®à¯ à®ªà®¯à®©à¯à®³à¯à®³à®¤à®¾à®• à®‡à®°à¯à®•à¯à®•à®¿à®©à¯à®±à®¤à¯,à®…à®¤à®¿à®²à¯ à®¨à®¾à®Ÿà¯à®•à®¾à®Ÿà¯à®Ÿà®¿ ,à®¤à®¿à®°à¯à®µà®¿à®µà¯€à®²à®¿à®¯à®®à¯ ,à®ªà®¾à®Ÿà®²à¯à®•à®³à¯ à®Žà®²à¯à®²à®¾à®®à¯ à®šà®¿à®±à®ªà¯à®ªà®¾à®• à®‡à®°à¯à®•à¯à®•à®¿à®©à¯à®±à®¤à¯ ,à®‡à®¤à¯ˆ à®’à®³à®¿à®ªà®°à®ªà¯à®ªà®¿à®•à¯à®•à¯Šà®£à¯à®Ÿà®¿à®°à¯à®•à¯à®•à¯à®®à¯ à®‰à®™à¯à®•à®³à¯ à®…à®©à¯ˆà®µà®°à¯à®•à¯à®•à¯à®®à¯ à®Žà®©à¯ à®®à®©à®®à®¾à®°à¯à®¨à¯à®¤ à®¨à®©à¯à®±à®¿ .à®‰à®™à¯à®•à®³à¯ à®¨à®±à¯à®ªà®£à®¿ à®¤à¯Šà®Ÿà®° à®†à®£à¯à®Ÿà®µà®°à¯ˆ à®µà¯‡à®£à¯à®Ÿà¯à®•à®¿à®±à¯‡à®©à¯ .à®¨à®©à¯à®±à®¿ à®µà®£à®•à¯à®•à®®à¯. It is very good to see a tamil catholic website. My sincere prayers for your fruitful mission to the e-world. Thank You Let our Lord be exalted even more and more. What is the font you are using in tamil bible? Can we copy and paste in ms word? very nice job and it is useful for all christians..
Dear Sir, Nice Site But I Cannot undersand in new user login please give a new login for me my contact no. 9894413329 my id josjosee@gmail.com God Bless You. Very good work..Keep it up...This is boon for all christians all around the World. Hallo father, I am hier joliver,oll is nise thanks your working. I didn't receive daily bible reading in tamil for month of june'2010.And the calendar also without reading quotation. Dear brother, Can't you extend the "Arulvakku sms daily bible reading" to Sri Lanka.We wish that you will extend it to Sri Lankan people. God Bless You. Thanking you. Please correct 'li' in the 7th song, namely Vaazhvai aLikkum. At present it gives opposite meaning namely, instead of "giving life" it gives the meaning "killing life. Yours in christ Rosario. N.B. Please include the song previously available in arul vakku such as, ulagamellaam, azhaikkiraar yesu aandavar etc. Please consider this request. Arulvakku is realy doing a good job. but in publication section if possible add new articals.Thank you. God may bless & guide Arulvakku teams. Realy very excelent wem page to all over world Tamilians Thanks Father "GLORY TO JESUS" "PRAISE THE LORD"
இறை வார்த்தைகளை அழகாகத் தெளிவாக அறிவுக்கும் தங்கள் மகத்தான பணி வாழ்க! i read daily cell mes.thanks fr. it was use ful for many christians who are very intrested in reading Gods word as well as meditating on Gods word , i am introduce this website to all my christins friends. Dear Fr Good Morning,Home page is looks very nice. Really very useful in daily bible reading. Dear Fr,everyday before start my work ill read daily reading and also im forward daily readings to my dear once & i would like to ask you people who doest know to read in tamil those can read in english so i am requesting you to publish daily reading in english also.thank you so much dear Fr. Informations and site are very nice. Please provide MP3 songs and books online and let us buy. I am interested in buying your publications cds etc. Can you please send me the catalog and prices and also to whom to send th draft. You are displaying the Date in English (August 5) - when I click the page number, you can display the Gospel for that day, no?! In bible we have some title for the versus, which is missing here. If possible, the title can be included. what is the frequency of changing tamil mass audio file ? It would be nice if it reflects the readings corresponding to the particular day. I understand it involves quite a huge amount of effort. In front page of the website please enter the prayer for priests in tamil also. This is my humble submission. while sending SMS about the Readings,kindly add the Psalm sections also.It will be useful to us. Dear Fr., Viewed your site. Its a wonderful work. Congratulations. Prayers and wishes for your services. Rev Father, In MARK 10:28 sonnar typed as sennar. pls correct it. Above error is send thru Thavattai sutta.But is not corrected. Ther is no feedback. It would be highly beneficial to us, the catholics if you could kindly make a database to store almost all lyrics for catholic songs. its very happy to see a good website in tamil for religious. helps lot to read bible versus even we are in office. Thanks. dear father please add in your website that today bible reading same like mass reading in church,we like to read everyday readings and we can feel like we attend daily mass readings from church. (today bible reading full year we need).yes i think its hard job but please please please add it in this website god bless u and will give u all power to do this great job. அருட்தந்தை அவர்களுக்கு வணக்கம், இந்த அருள்வாக்கு டாட் .காம் மிகவும் பயனுள்ளதாக இருக்கிறது கடவுளுடைய வார்த்தைகளை படித்து தேவனை மகிமைப்படுத்தி நாமும் மகிழ்ச்சியடைகிறோம். இதற்க்காக கடவுளுக்கும் உங்களுக்கும் கோடி நன்றி. இந்த வலைத்தளத்தில் கிருஸ்தவ பாடல்களும் இணைத்து பாடல்களை இணையதலதிளுருந்து நங்கள் கேட்டு மகிழும்படி கொண்டுவர வேண்டுகிறோம் . dear friends, i enjoy every bit of ARULVAKKU. and also enjoy the songs whenever iam on internet. thank you. Dear Father Adaikala Rasa, After a long time I had the pleasure of visiting your amazing web site today. The new features you have added give the site a very attractive look and extraordinary richness. I am thinking of the music section, Holy Mass, various publications, word search, Pauline Jubilee, etc. You are rendering a great service to Tamil speaking Christians everywhere. I too have added some new features to my web site "www.tamilchristianweb.com" which you can check out. Congratulations for the great work you are doing! Dear Fr. I am really very thank to you,for giving the "Gunamakkum Thiruppali" for your web site. I hope this is very useful to many people Spiritual life. Dear Brother, Greeting in the name of Jesus Christ. Hope you may know that the situation for the people in Middle East. Here we don't have any opportunity to go to church and prayer. In this situation like me people are looking spirtual leads through internet, in this manner your website really superb. Thanks for all your efforts. Vanakkam. How can I download the entire bible in Tamil? Congrats Father for brining up a Tamil Catholic site for us, which is now a part of even our office environment in such a restricted country . Thank you very much and our prayers are there for it's success and thanks to your team. Ur arul vakku website is really excellent u r doing good really and ur job is wonderful keep it up and v welcome ur new creativity also. It's really amazing. I didn't know this web. Now only i feel i am very close to Jesus Christ. Why don't you start sending daily messages thro'email? Praise the Lord. Father, Really a great effort to come up with a site for Tamil Bible. I like the search option to navigate to the required chaper. I heard the Holy mass given in the site. It is very consoling for the people at home, particularly the eucharistic celebration and the prayer at the end of the mass heals and soothes our soul. The choir and the songs is very lively with divine presence. Thank you very much for the team which prepared everything and inserted in the site. Dear Father, The site is awesome! I begin my day listening to the touching songs in the audio attached here. It's wonderful experience listening to songs and working...... My prayers and well wishes to you and your devoted group!!!! Dear Fr., I am s joseph xavier from the orgin of Azhagappapuram, kanyakumari dist, at present working in Qatar. In here i am found your web site. really it is very useful to my spritual life. Thank you for your greate ful work!! i will pray to god, to you for achive many good news works!! Praise the lord! I found the link to the Tamil bible a most resourceful tool. Thank you very much. All your hard work in maintaining this site is much appreciated. Good work, Tamil Online Bible is worthy. My wishes and prayers to the team. I was not able to connect to the devotional songs section. I am very happy to see ur web. Bcoz i am a christian, but i am not follow the rules of christian. This web is very useful to me. Surely i am convey to my frnds abt this web. Father, this site is beyond excellent. You done a really god's good job. thank you very much. Gnanaraj. Thanks for your wonderful work that you have done. its really great to have a catholic online bible in tamil. let we all try to share about this site to all our friends. Good Work. But Still it needs some modifications.,ex. to search a sentencs or word in a particular chapter there is no way to find help.